Medicine, because of its interdisciplinary nature, has to rely on a variety of aiding elements. And while every different field that medicine relies on has its own pace of advancement, healthcare has to adjust to how medical technology progresses. And this revolution, advanced medical imaging has been one of the most important elements. Its importance is undisputed. So much so that advanced medical imaging is considered by countless scientific journals (including the New England Journal of Medicine) as belonging to the foremost technological and medical developments of the last 1,000 years. Medicine, in its continuous transformation, has been shaped and reshaped by medical imaging. Diagnostic procedures, treatment plans, measuring protocols and management guidelines have all been altered so as to reflect the advances in advanced medical imaging. It contributes to patient outcome improvements, earlier diagnosis points as well as less invasive detection. However, medical imaging has also significantly contributed to a reduction in healthcare cost and quality. A new study attempted to record patient’s dreams with the help of FMRI machines. As technologies advanced, so did diagnostic capabilities and treatment options. As such, results are produced in less time and involve better and safer procedures. Timely results are essential when dealing with certain types of illnesses, cancer for instance. However, medical imaging procedures also involve some levels of radiation and, in time, this may pose a danger. Yet the situation is even more delicate: required diagnostic procedures cannot be delayed since any postponement can hinder a patient’s recovery and a hospital’s efficiency. Hoping to reduce radiation levels especially with patient categories who have undergone extensive diagnostic and treatment procedures, a research team created a new algorithm which basically reconstructs images from noisier and undersampled data. As such, the levels of radiation to which patients are exposed are significantly reduced. “One of the biggest beneficiaries of these advances is young children, who can now receive state-of-the-art cancer treatment without being exposed to high doses of imaging radiation,” stud authors wrote. Indeed, children are most exposed (and suffer greatly) from receiving high radiation doses. With technology advance, diagnostic procedures shifted and doctor’s understandings of diseases also. Cancer detection, for instance, uses fluorescent tomography (DFT) as one of the most sensitive and advanced diagnostic procedures. DFT works by measuring how light is absorbed or scattered in the body. Malignant tissues (where cancer is present) disperses light differently than normal body tissues. Of course, even with this procedure, there are challenges. Because light is constantly moving, it can prove difficult to recognize cancerous cells especially when they are located deeper in the body. That’s precisely why advanced medical imaging researchers came up with 3D reconstruction programs. Thusly, fluorescent markers used in DFT can now be traced and reconstructed so that doctors can exactly pinpoint the location of the cancer. Breast cancer detection techniques have improved considerably and, as the American Cancer Society reveals, early detection is essential to survival rates. Specific types of mammograms and advanced imaging systems using GPU-powered ultrasound are now able to generate three-dimensional images of patients’ breasts. Because massive amounts of data are being collected, clear, detailed images are obtained where irregularities are more easily spotted. And because the procedure involves ultrasound, no unnecessary radiation is required. When a disease is diagnosed in an early stage, invasive procedures and in-patient care is often not required. Recovery times are shorter and patients are able to return to their daily lives quicker. So whether you’re just concerned about your overall health state or you’re in remission and want to make sure that the cancer’s gone, advanced medical imaging allows you to quickly put all worries aside. We’ve comprised a list of some of the best US Advanced Imaging Centers for you to revise. Perhaps best known for its contribution to positron emission imaging, MGH (Massachusetts General Hospital) has prided itself in being the pioneers of early brain tumor detection. In 1952, its first positron scanner was build. Following in the same footsteps of excellence, CAMIS (Center for Advanced Medical Imaging Sciences) now represents the continuation of the Radiological Sciences Division’s efforts to better medical imaging. The imaging center is focused on discovering molecular imaging agents capable of better identifying normal and pathologic conditions so as to provide the best possible diagnosis and monitoring capabilities. MGH has experimented with all sorts of CT imaging procedures, yet recently, it has been exploring iterative scanning. This particular type of CT imaging class uses X-rays differently. A normal X-ray machine uses bi-directional reflections. However, this particular CT procedure involves iterative propagation of the ray through the patient’s body. In the end, doctors obtain an integrated view. AMIC has been dedicating its expertise to patients for the past 30 years. Board-certified radiologists are in constant connection with your treating physician to ensure the best possible care. The center provides multiple diagnostic medical imaging procedures, from breast MRI to mammography, ultrasound, high field or open MRI and multidetector CT’s. Edison Imaging Associates encompasses a wide range of medical imaging services and centers where the most advanced technology is used. With a 30-year-long experience in the field, Edison Imaging Associates has ensured that New Jersey communities had access to a full-range of medical imaging services. They operate the JFK Medical, Advanced Medical Imaging of Toms River and Muhlenberg Regional Medical Center, a dedicated MRI center operating with 3T magnets as well as two additional breast centers and two free standing multi-modality imaging centers. Due to the dedication and passion of the doctors at Edison Imaging Associates, NJ patients can rest assured that they have easy access to diagnostic imaging services in some of the friendliest facilities in the US. A proud in-network NE provider, AMI is a full-service Radiology Imaging center based in Lincoln. Diagnostic procedures and medical attention can sometimes seem unfriendly, but the medical imaging consultants and radiologists at AMI ensure that the service they provide is compassionate, comfortable and patient-focused. AMI also takes pride in counting itself among the nation’s leaders in electronic, medical and digital imaging records integration, a system allowing your physician to receive the results as fast as possible. Providing the necessary medical imaging services to Boulder and Denver residents, Health Images, the new face of Colorado Advanced Medical Imaging, is set on continuously improving on patient convenience. 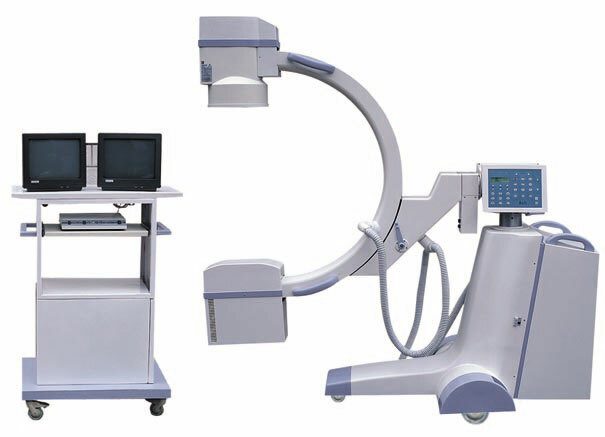 Health Services operates multiple medical imaging services in Colorado, Boulder and Denver. Focused on consistency and efficiency, this healthcare provider aims to “raise the bar” of medical imaging services in the area. Their Diamond Hill center also provides a wide range of services, from CT guided biopsies to bone density scans, PET and CT’s, MRI’s and comprehensive breast cancer diagnosis. Operating in over 7 locations, Advanced Medical Imaging ensures that Fresno (and other California residents) have access to a wide variety of imaging services such as CT, MRI, bone density scans, mammography, ultrasound, fluoroscopy and nuclear medicine. This Silverdale-based medical imaging center has received a new face and a new name after incorporating Olympic Radiology. Operating five Kitstap County locations, Harrison Imaging Centers offer a wide range of comprehensive, outpatient advanced medical imaging services. With a professional staff of board-certified radiologists, the center integrates operations so as to ensure valuable and patient-oriented services. The medical imaging center relies on a centralized scheduling system and the early adoption of specialized software such as MyChart patient portal and Epic electronic medical record to ensure the best of care. Among advanced medical imaging providers, there are some who offer mobile digital services. The company’s mobile services includes ultrasound diagnostics, mobile digital X-rays, EKG’s and PICC placements. With an eye for quality and excellent care, the staff at Quality Medical imaging promises same-day services as well as a maximum 4-hours or less STAT exams turnaround times. They too work with board-certified radiologists and cardiologists to provide the best care for patients. Due to the imaging center’s cutting-edge innovative system, patient data is easily relayed and transmitted to caring physicians. Additionally, patient trend and long-term statistics are also obtained. As healthcare standards are rising, so too are the requirements in every medical field. Advanced medical imaging is no exception. Quality imaging is therefore crucial in the decision making process and can ensure that no unnecessary procedures are required to further clarify a diagnosis or treatment plan. That’s precisely why choosing the best providers is so important. So next time you’re choosing an imaging center to provide you with medical attention, be sure to review that information which can help your decision.